Isle of Wight Day was conceived by the 2015 High Sheriff for the Isle of Wight, Robin Courage. The first event was held on 24th September 2016 and aims to celebrate all that is good on the Isle of Wight. As well as being a day of celebration for what if great about the Isle of Wight, the day aims to raise money for several charities on the Island. Events were held all over the Island sitting under the Isle of Wight Day banner and a parade was held in Newport. 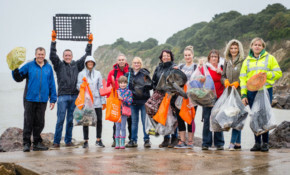 Over 40 Red Funnel staff and their families braved the wet weather at Ventnor and Steephill Cove to take part in the biggest-ever organised clean-up of the Island’s coastline. Over the weekend of 22-23 September, Islanders and visitors are being encouraged to take part in the biggest beach clean the Isle of Wight has ever seen, as part of Isle of Wight Day celebrations. Well over 100 members of Girlguiding IW joined in the celebrations for the 2017 edition of Isle of Wight Day last weekend. *Some* Isle of Wight council car parks will be free this Saturday for Isle of Wight Day. OnTheWight has the details of which ones. Isle of Wight Day returns on Saturday, 23rd September. 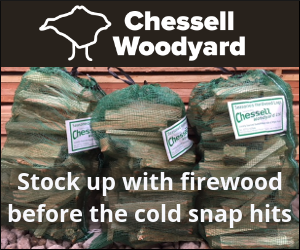 Make sure you pick up your bunting and have it on display for the big day. Young people across the Isle of Wight are encouraged to join in this exciting Spoken Word competition for Isle of Wight Day. A new book containing 500+ photos taken by Islanders and professionals on Isle of Wight Day has been published, with all proceeds going to charity. The High Sheriff for the Island has thanked Islanders for embracing the very first Isle of Wight Day and reveals the date for 2017's event. The Macmillan Coffee Morning turned into a coffee morning, afternoon and evening as rowers from Ryde Rowing Club celebrated their end of season success. There's 75 miles of bunting and around 100 events planned for the very first Isle of Wight Day which takes place on Saturday. The dedicated band of guerrilla gardeners have shown great respect to this wonderful piece of Isle of Wight heritage. One of their youngest, Josh Aitken-Dunkeld, has been a committed Friend to the cause and you can now vote for him in a national award. On Isle of Wight day the Youth Trust will will be teaming up with local businesses to host a series of fitness workshops at Island Innovation VI Form Campus in Newport.